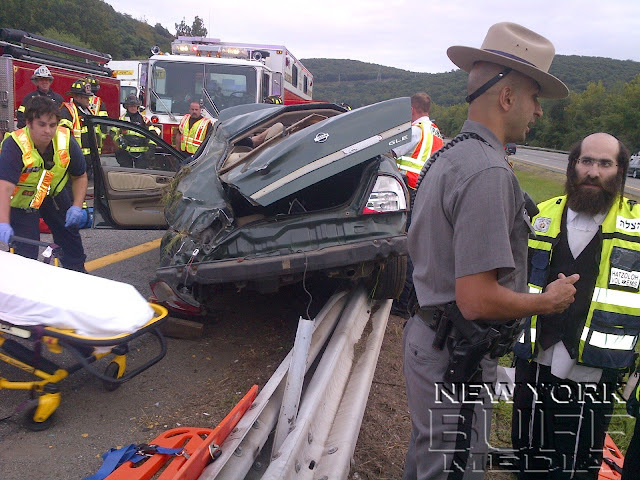 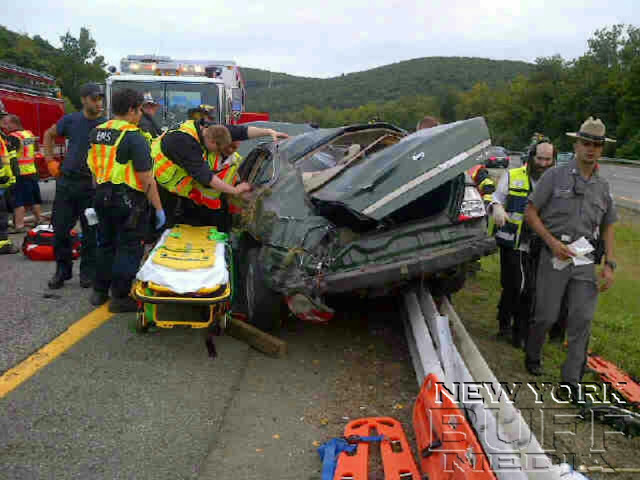 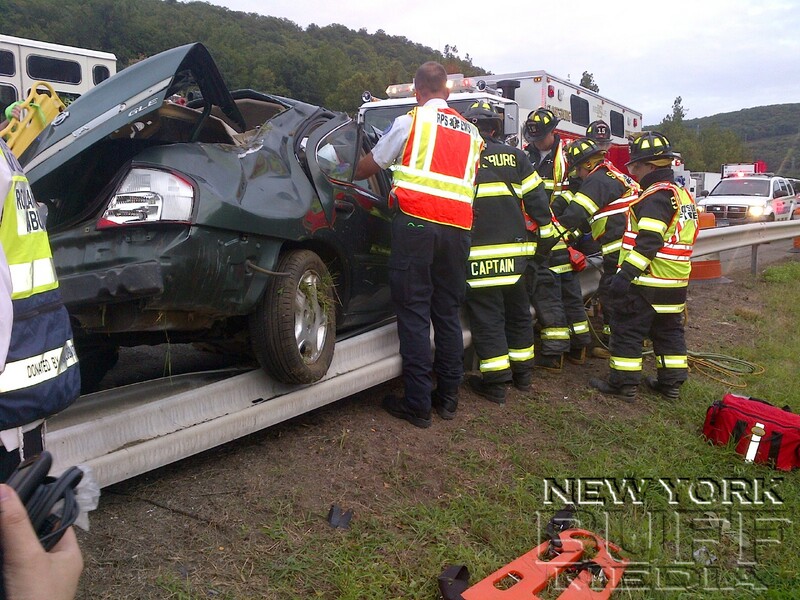 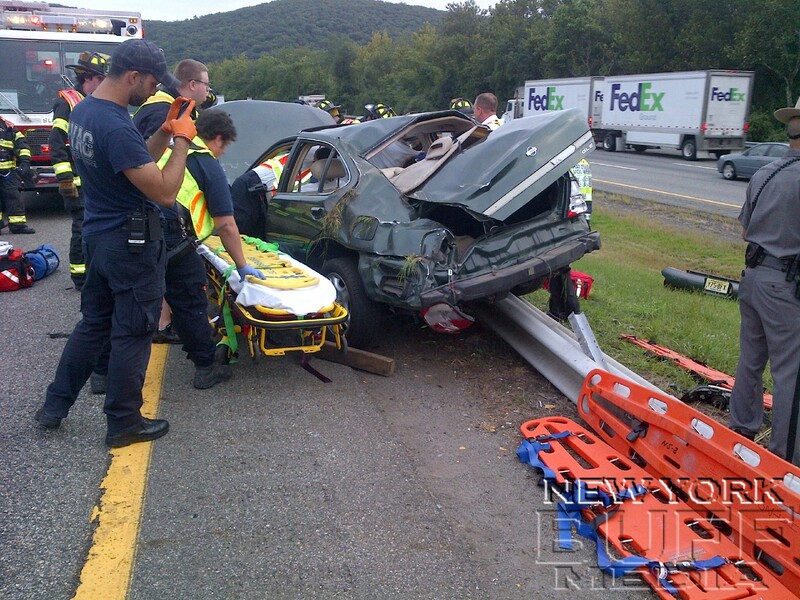 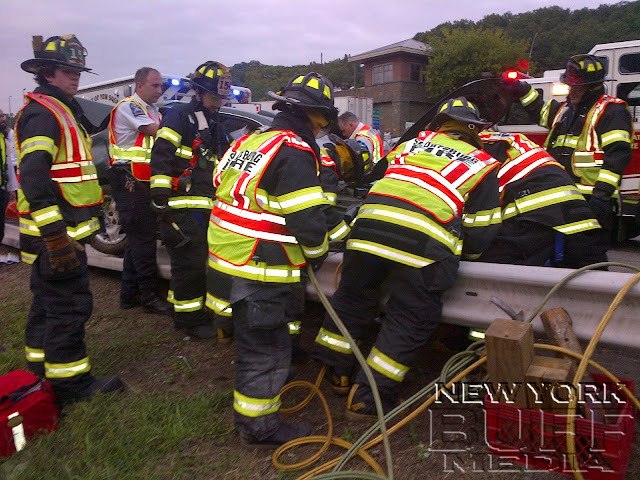 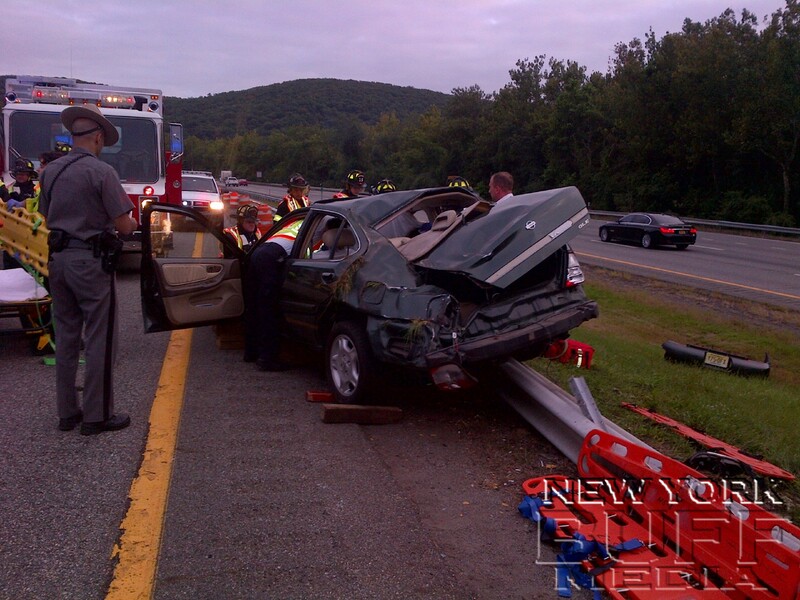 Sloatsburg - A vehicle overturned on the the NYS Thruway next to the Sloatsburg rest area, Tuesday afternoon. 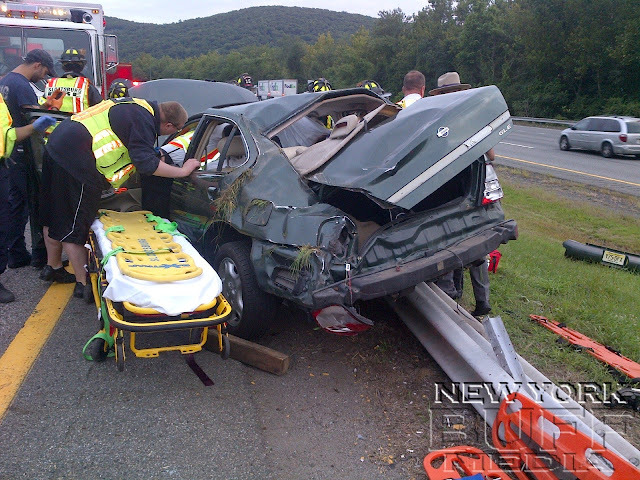 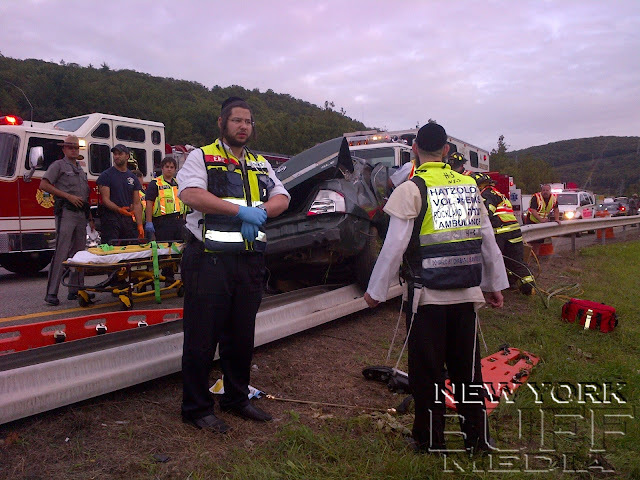 The sloatsburg ambulance arrived on scene and started patient care. 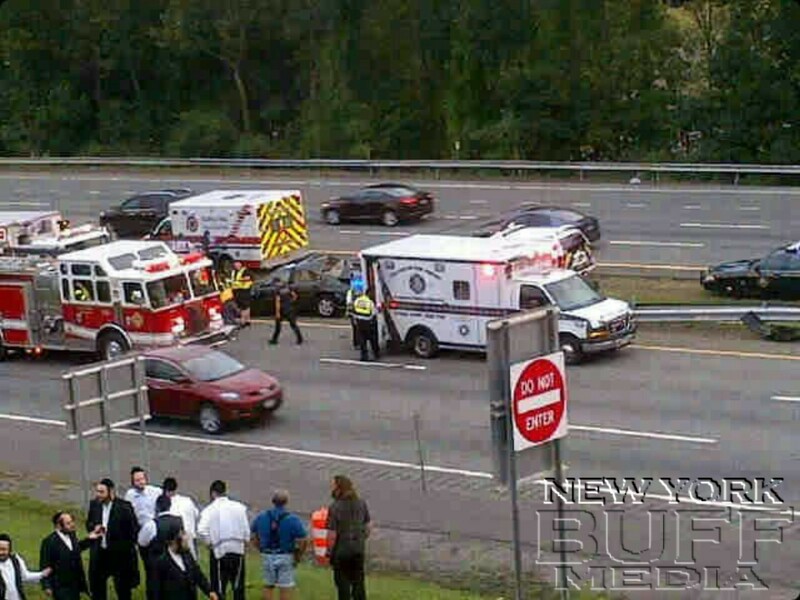 The reason why it appears they transported is because they wanted to get the accessible patient out of the car that was being worked on by the fire department because it was unsafe for the patient to stay in such conditions and there was only one hatzoloh ambulance on scene and they were just going to leave the patient in the car for 15 minutes while they waited for another ambulance to come from kiryas joel.